Instead, MAST1 seems to substitute for the activation of survival enzymes, cRaf and MEK1, which cisplatin interferes with. 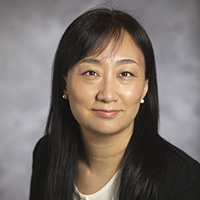 Cisplatin was known to damage DNA and to unleash reactive oxygen species within the cell, but the interaction between cisplatin and the survival enzymes had not been observed before, Kang says. Levels of MAST1 seem to account for cisplatin resistance, in a survey of cancer cell lines and primary human tumor samples. The next step was to look for compounds that might inhibit MAST1. Kang’s team found one in lestaurtinib, a kinase inhibitor that has already been in clinical trials for several types of cancer, such as acute myelogenous leukemia, although it appears manufacturer Cephalon has discontinued research on it. It was a surprise because lestaurtinib was thought to inhibit a different type of kinase (tyrosine kinases) than MAST1. More here. Also, check out this 2014 post on biochemist/DNA repair expert Paul Doetsch’s work on cisplatin.